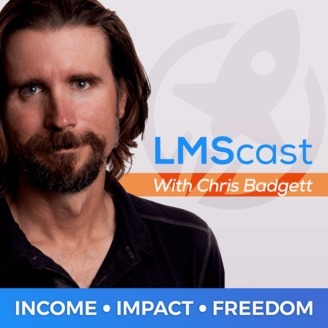 Learn about creating online social learning membership sites with web development agency owner, BuddyPress expert, and StudyChurch founder Tanner Moushey in this episode of the LMScast podcast with Chris Badgett of LifterLMS. Chris and Tanner dive into what BuddyPress is and how you can use it on your sites to create a powerful social media experience on your site. BuddyPress is a plugin for WordPress that allows you to turn your website into a social media platform of sorts. You can have user profiles, an activity feed, groups, forums, and notifications. You can even associate forums with specific groups. With bbPress and BuddyPress, you can have private messaging. Tanner offers web design services at iWitnessDesign.com. He entered the world of BuddyPress and the powerful possibilities it unlocks with sites when he started working on iWitness Design, and one of the major projects he wanted to build at the time was a website for people in his church to connect and have a place to do prayer requests online. BuddyPress did serve as an guiding idea for the types of websites Tanner wanted to build. Working on interactive sites was a niche Tanner wanted to enter and play a part in. Even after many years of working in the web design space, he finds himself coming back to BuddyPress, because it has a solid foundation as a platform to build from. Chris and Tanner talk about some key aspects of site construction and what you want to focus on as a course creator and site builder. Figuring out what community your website serves and what success looks like for that community is a huge piece of putting together an effective platform. If you are aspiring to have a social networking aspect woven into your site in the future, you may want to start out on Facebook, Twitter, LinkedIn, or an email list, because it can be hard to maintain interest in participating in the forum on your site if you do not already have a community engaging with your content somewhere else. It is good to have some momentum built up with your community that you can transfer over onto your site. To learn more about Tanner Moushey be sure ot head to iWitnessDesign.com and Study.Church. You can connect with him on Twitter at @TannerMoushey. You can head over to LifterLMS.com to find out more about how you can use LifterLMS to build your own online courses and membership sites. Subscribe to our newsletter for updates, developments, and future episodes of LMScast. If you like this episode of LMScast, you can browse more episodes here. Thank you for joining us! Chris: You’ve come to the right place if you’re a course creator looking to build more impact, income, and freedom. LMScast is the number one podcast for course creators just like you. Chris: I’m your guide, Chris Badgett. I’m the co-founder of the most powerful tool for building, selling, and protecting engaging online courses called LifterLMS. Enjoy the show. Chris: Hello, and welcome back to another episode of LMScast. My name’s Chris Badgett, and I’m joined by a special guest, Tanner Moushey from iwitnessdesign.com. He also has a social learning project over at study.church. Chris: Welcome to the show, Tanner. Tanner: Hey, Chris. Thanks so much for having me on. Chris: You have a lot of experience in the original social network of WordPress called BuddyPress, which is a tool I’ve always been fascinated with. I’ve had the pleasure of meeting John James Jacoby, Triple J, as he’s known. I think he was the original creator of BuddyPress. And bbPress, the popular form software. Chris: But I’ve always been fascinated by it because, number one, those tools are free, to make a form or a Facebook in a box and a WordPress website with BuddyPress, and I’ve just been fascinated by social interaction online in general. Chris: [inaudible 00:01:35] things is very interesting to me. And I’ve always been interested in the BuddyPress projects, specifically. My tool, LifterLMS, integrates with BuddyPress out of the box, and bbPress. So if you want students to basically have the BuddyPress profile, and have their courses and their membership show up and be able to easily get into their courses and programs, or have forms specific to courses or memberships, all that stuff’s part of Lifter. Chris: And I did that from the very early first version of LifterLMS, which is over four years ago, because I knew from the beginning that social learning is an aspect of the education issue, especially in the online world that I wanted to work on. Chris: But let’s take a step back. Can you just take us to school on what BuddyPress is, what does it do well, what are its limitations, and just give us a primer on BuddyPress. Tanner: Yeah, absolutely. So, like you said, we’ve been working with BuddyPress for a long time. The story actually is pretty funny. I actually worked with J-trip at 10up during my tenure there. And when I left 10up to get going on iWitness Design, one of the projects, one of the things that I wanted to do, the church I was going to, I wanted to create a online place for us to do prayer requests, and just to have a place for people to come and connect online. And so I started building the system to do that. Tanner: And I got about three or four months into building this system, just on my free time, when I discovered BuddyPress. So it wasn’t until after I left 10up, it wasn’t until after I had got done working with John. He and I even did a bbPress project together that I even found out about this thing. So that was kinda crazy. That was a humbling experience, actually, just revealed to me how much I didn’t know. Tanner: Anyways, so I got really interested in BuddyPress. One of the things that has really attracted me to web development and, really, the technology that’s out there, is this kind of interactive option that we have. Websites these days, in particular, have gone way beyond this idea of having a brochure site, putting your information online, and actually invite people to participate and engage with your site and with your content. Tanner: And so I was considering, as an agency owner, what I wanted to focus on, what I wanted to niche down into. One of the things that popped up was … Well, the main thing that popped up was this desire to create interactive sites. I didn’t want to just be a regular site builder. I already knew a few different people who were in the eCommerce space, so I wanted to get into something a little bit different. Tanner: So I settled down into membership sites, just to get specific, and then niched down even a little bit more to focus on BuddyPress sites within membership, as a cross-niche of the exact kind of project that I wanted to work on. Tanner: With BuddyPress, like you’re talking about, BuddyPress is really that core social plugin for WordPress. There are a few other plugins out there right now that have started popping up, that start to do a few of the things that BuddyPress does, in different ways, and they do some things well and some things not so great. Tanner: The reason I keep coming back to BuddyPress is because it has a fantastic foundation. The kinds of people that are working on BuddyPress are working on it in a way that will make it scale, that can make it performant. And the kinds of sites that are running BuddyPress are huge sites, they’re doing really amazing things. Tanner: That said, I have a lot of people coming to me asking, saying that they want to do a BuddyPress project, and they’ll give me their list of things that they want to do. And half the time I end up talking them down from it, because unless you really have the budget and the time to spend into making BuddyPress exactly what you want it to be, it’s probably going to be a frustrating experience, because the power of BuddyPress is in the back end, and the data structure. And in the functionality of what it does, not so much in the interface. And that’s been being updated over the past couple of years, so it’s definitely better now than it was, especially when you have themes like the Boss theme, from the BuddyBoss guys. They have some products that are really great that are a great starting point for someone wanting to do that specific thing, whether it’s Social Learner or something like that. Tanner: But just throwing BuddyPress into a theme, and hoping it works, is generally not a good method of success. Buddypress takes a lot of planning, a lot of strategy, and it’s an amazing tool if done right. And if not done right, it can just be a source of frustration. Chris: What is the … like, with BuddyPress, that’s what always amazes me about just the WordPress community in general, there’s this amazingly powerful plugin that’s free. At what point do people start being like, oh, well, you’re going to need custom development or design or whatever? Where does it start? Tanner: Before, I would’ve said pretty much right away. But again, like with the newer themes that are popping up, you can get pretty far. You can actually build a whole setup without having to engage someone for customization. Tanner: Again, it’s just figuring out what is the point of this community? Who are the people that we’re trying to serve? What does success look like for this community? Tanner: And if you can define those things, and you can find a preexisting theme, or a set of customizations for BuddyPress that’ll do that for you, then you’re great, then you’re good to go. Tanner: But if you’re trying to do something that doesn’t exist yet, again, BuddyPress is a great starting place. But I would definitely recommend getting in contact with a consultant to help you think through those aspects. Tanner: It all goes down to, a little bit, what your experience level is in WordPress. Buddypress is not a plugin that I would recommend someone who’s just getting started out with WordPress try, but if you know what you’re doing, you’re familiar with plugins, you’re familiar with the way these things work, then there’s nothing wrong with loading it up and trying it out and seeing how it goes. Chris: I think one of the frustrations outside of functionality that doesn’t exist is that, with building a community website, is it’s really hard to, in most cases, to get that initial momentum rolling, of having it not turn into a ghost town, where people sign up and never come back again. Chris: In your experience, what are some things to think about to increase the odds of success of building a community that lasts and grows over time, or at least remains stable? Tanner: So, the idea is, if you’re gonna build your own social network, that could be really great. But the expectation bar is really high now, because we have Facebook and Twitter and LinkedIn and all of these other social networks. And so, what makes BuddyPress a potentially difficult option is not that BuddyPress is inherently difficult in and of itself, it’s that what you’re competing with is so advanced. Tanner: It’s not that hard to necessary put together the functionality that you’re looking for. With something like BuddyPress there’s a bunch of different options out there. There’s a bunch of different extension plugins and that kind of thing. But at the end of the day, it’s not about a set of features. It’s about will people actually use this? And is this serving my community? Tanner: And then that’s the time that I really recommend getting started with BuddyPress. Because if you’re starting out trying to build a community, and you’re trying to build right into BuddyPress, you’re going to have an uphill battle trying to maintain that interest, trying to keep that community from becoming a ghost town, because those expectations are so high. Chris: I really like that idea of validating on Facebook first. I talk about, a lot, on this podcast, course creators have to wear five hats to be successful. They have to be an expert, a teacher, a community builder, a technologist, and an entrepreneur. Chris: This community building skill that you’re talking about is a real skill. And it’s easy to want to own the social network, and own the platform, but it’s not so bad to go validate on a Facebook group or whatever. That makes a lot of sense. I appreciate … that’s really sage advice there. Chris: Take a community that you’ve already built, either offline or on Facebook, before you really try to own it yourself. Chris: If we put another one of our hats on, the expert hat, there’s a little bit of overlap in our story. Number one, you live in one of my favorite States, which is Washington State. On the other side of the mountains from where you live, there was a expert in North, Eastern Washington, in a certain type of organic agriculture called permaculture, that I learned of. And so my very first online course projects, I actually helped bring some of these permaculture experts online. They had these huge followings. They were mostly doing in-person workshops, on different people’s lands or farms or things like that. Chris: And I started showing up with my video camera, and working out a deal, and then creating online courses around that stuff. Chris: You mentioned, with study.church, that you were in a situation where somebody who was doing well offline, and you were trying to do the problem of, can I bring this community online? Can I make it happen online? Can you tell us the story of study.church? Tanner: Yeah, yeah, absolutely. Going back to my church, and just using that as an example. I see a lot of needs there. We’re a pretty small church, and we don’t typically use a lot of tools. But I was anxious to take all the stuff that I was learning, and figure out how can I solve some of the problems that I’m seeing, and how can I enhance what we’re doing here? Tanner: And so one of the things that we were doing at the time, one of the pastors in the church was creating some custom study for our small groups that were going on at the time. And he’d send out those studies in a Word document. So beginning of every week, we’d get a church blast email, here’s the study, here are some instructions and whatnot. And so you download the Word document, and then you print it off and all of that. Tanner: Every now and then we’d get a followup email, “Sorry. I attached the wrong study. Here’s this one,” or whatever. And it felt really bad to me. It felt really clunky. Tanner: And so I started just pondering it, and considering what I was doing through to my agency, with my clients and all that. Started thinking about if there was some way that I could contribute a better way to do this. Tanner: And so, as I was learning a lot about BuddyPress at the time, and I really got this idea that, wouldn’t it be great if not only could we come up with a better way of distributing this content, but what if we could also create something that also promoted community, right? Tanner: In really any class setting, you want to promote that community aspect. The more you can get people working with each other, and engaging with each other, the more impactful that study is going to be. Tanner: So I started working on study church, and the idea was, let’s create a platform where you can add your study, and so we did some work early on with Backbone and the WordPress API, just to put a front end study builder together, and it’s really awful. It works pretty well, but it’s nothing really to look at. Tanner: But just something to start testing some concepts, get some … have an opportunity for people to put their study online, and attach it to a group. And the way that study church works, is once you attach a study to your group, you invite the people to your group also. And then, whenever someone in your group answers a question, then they can see all of the other answers that everybody else in the group has posted to that question. They’re all long-form answers, there’s no multiple choice. This isn’t a right or wrong kind of thing, it’s not really a real learning management system. Tanner: And then right there, in the system itself, you can have that conversation, you can have that back and forth, and it’s all built right into the platform. We were able to leverage BuddyPress for that. We just created, basically, a custom activity stream element, so that whenever they answer a question, that custom activity item is created, it ends up right into that group stream. And then it’s just default BuddyPress at that point. Tanner: And so we were able to build a system, I think from starting from nothing, all the way to having a working model, I think we ended up at 100, 120 hours or something like that. Which, for a project like this, isn’t that much, especially when you consider we did a lot of branding and custom development on that side of things. Tanner: So BuddyPress really helped us to scaffold things and to build very quickly, and get it to a point where … we’ve not had a bunch of people using it, because I’m really not great at marketing. But we’ve had a few people just find us organically, and using it, and we’ve gotten some good feedback from it. And we really see this thing where people are engaging with each other. And able to take the concept of what we have in small group, where we meet once a week, we go over the study, we discuss things, and expand that to an online presence also, where you’re able to extend that interaction. Tanner: And also, it gives us the opportunity to take some of the quieter people in the group, who may not normally share their answers and share during the in-person time, and it makes their answers visible so that we have a more complete view of where the group is at, and where the conversation’s going. And it invites other people into the conversation that wouldn’t normally be comfortable participating, I think. Chris: Wow, that’s fantastic. There’s a couple of ideas I wanted to pull out of that. The first being is, I have a theory about just learning that if you were to think back to one of the most profound learning experiences in your life, you probably weren’t alone with just the teacher or with just a book or something like that. Even though we can learn a lot in a one-on-one situation, or from a piece of information. Chris: But in my experience, and when I ask this question, a lot of people say there was others around, people were having different reactions to the content. Maybe some were succeeding, some were failing, people were helping each other. This is where the really great learning happens, so it’s social. Tanner: I was just going to say, I have a funny story about that, and it’s the flip side of that, which is, I got partway through college, I didn’t completely finish it because I started doing some distance learning that I decided to start my own company before finishing. Tanner: But the last course I took with distance learning was this new type of course they had where they sent you a flash drive with the material on it. They sent you a book. And then you had a middle exam and a final exam, and that was it. There was no really group interaction, there was nothing. And I failed that class so bad because, like you’re saying, there wasn’t that group interaction. There weren’t those other people I could engage with. There wasn’t that external motivation, not just from the teacher, but from the other students and all that kind of thing. Tanner: Just thinking back, you talking about that just reminded me of that scenario of not how a community helped me learn, that wasn’t my best learning experience, that was a subject that I’ve traditionally done really well with, and I just completely failed, because it was just me and my book, and that didn’t go well for me. Chris: I have a concept called course plus. That’s where you can build an online course, which can be that flash drive, in video format on a website, or you can … but you can add other stuff to it. You can plus or add more. So course plus community plus coaching plus service plus in-person event or offline event, or online event. There’s all kinds of things you can add to the learning stack. Chris: And you mentioned that, so that’s, some people call that blended learning, where you’ve got the online, and then you’ve got the offline, and they work together, and there’s tons of different ways to do blended learning. Chris: I really like what you said about the personality types and how they interact differently in the group, online or in-person. Somebody’s more introverted, they might shine more in the offline thing, or just be more quiet and reserved, especially in a larger group. Chris: That’s really cool. That’s getting into the nuances of social learning. Because not everybody’s the same. And I think that’s a big part of it. Chris: You also have some experience leveraging BuddyPress in the university context. We have universities playing around with LifterLMS, and using it for different things. Chris: How are these … what’s your experience with the university in terms of the social piece? What are they trying to do? Tanner: This has been a really interesting project that we’ve been working on. And essentially what we’re doing is we’re forking the H commons setup, that you can find at hcommons.org. Tanner: They had their whole setup on GitHub, open source, free to use and all of that. And so we’ve been working with this university. What they wanted to do is they wanted to create an online platform for different professionals to be able to come and discuss different areas of interest. And then it even breaks down into different societies, based on education level and that kind of a thing. Tanner: This is a great example of where an existing social platform like Facebook wouldn’t work, because they’ve got to have these things locked down. They’ve got to have single sign-on. They’ve got to have a bunch of stuff. And so what we’ve been doing, primarily, with them, has been integrating, like I said, with Shibboleth, or single sign-on, doing some stuff with Elasticsearch search to expand the default WordPress search to include BuddyPress and members and some of these custom components that we’ve done. Tanner: But it’s been a really interesting thing, and just start understanding what the needs of universities are, and how they’re trying to get academics to communicate with each other. It’s been a really fascinating experience. Chris: Could you unpack that single sign-on Shibboleth thing? I’m just asking, because we get that question a lot at Lifter, and people wanting to do single sign-on with WordPress, and I see people come up with all kinds of different solutions. What’s Shibboleth and how do you use that with BuddyPress? Tanner: I’ve done Shibboleth a few different times. And there’s a plugin on WordPress that the handle’s Shibboleth. Chris: How do you spell that? Is it [shib-oh-lah 00:23:10]? Tanner: It’s Shibboleth, S-H-I-B-B-O-L-E-T-H, I think. Chris: Okay. Something like that. Tanner: Basically, what Shibboleth does, is it will integrate with an active directory type database. And so I’ve done Shibboleth in the past, and the problem is that Shibboleth takes a few different pieces that make it very complex. Tanner: So you have the WordPress side of things that just manages sessions and Shibboleth login and that kind of thing. That’s not terribly complicated. Where I’ve run into trouble in the past with it is, both servers need to be configured for Shibboleth, and there’s some crazy firewall stuff that happens. Tanner: And so, on a previous project that I did several years back, we jumped around to a few different hosts because the … we went to WP Engine for a while, and they weren’t able to make the customizations that we needed on their shared hosting platform. Tanner: For that site we ended up on Linode, and I’m not really a systems administrator. At least I’m not now. I kind of was back then, and I decided I didn’t like it very much. And so my frustration with Shibboleth, what made it difficult for me was just trying to get that server stack all set up correctly. Trying to figure out, where is the error coming from? Is it coming from me? Is it coming from the university that we’re trying to connect with? Is it a firewall issue? Tanner: So this more recent project that we’ve done with this university has been much better, because we have a good systems administrator that we’re working with on their side. Everything is behind the firewall, so we don’t really have that component so much to worry about. And so the integration has been really neat, because what it allows us to do is it allows us to take pieces of information from their directory, and say, once this person logs in, they’re going to send us a whole bunch of attributes that tell us what programs this student is enrolled in, or if they’re faculty or whatever. Tanner: And we’re able to take those attributes and then to map them to the correct sub-sites or whatever within the install, and we can assign them to particular groups. This is one thing that we’re working on now, expanding the idea of what a group is, so that we can have classes, and we can have groups, and we can have all these different things. Tanner: And to be able to say, you don’t join a class. A class group is not something you join. That’s something we’ll automatically assign you to when you sign in with Shibboleth, because we know you have that attribute coming in from the active directory database, and we’re going to map you to that. Tanner: So there’s some really neat things that we can do there from a management standpoint that allows the administrators at the university to continue managing things where they’re used to managing it, and WordPress just plays nicely with all of that. Chris: That is super cool. If we go back to BuddyPress, and Social Learning, and correct me if I skip some of the major features there, but BuddyPress, for a social network on WordPress, you have profiles, you have a activity feed, kind of like a Facebook timeline, if you will. You can groups, you can have forums associated with groups. Or just forums in general, with the bbPress partner with BuddyPress. You can have private messaging. Are those the main features? Chris: You can have friends. You can do more advanced profiles and kind of build custom registration and stuff like that. What else are the major features? Tanner: The other major feature that I think is really important with BuddyPress is the notifications piece of functionality. Chris: That’s what community is, really, it’s a bunch of notifications, hey there’s a new thing over here, check this out. Tanner: Oh, okay, go ahead. Chris: …which is related to where you’re going right now, so I just wanted to frame it in. If somebody’s just getting started, like … I hypothesized that the reason some people fail is they turn all of them on, when maybe they only need … maybe they don’t need messaging right away, or they don’t need friends, or whatever. How do you … is there a critical few? Or I’m sure it depends on the project. Chris: Where were you getting ready to go there? I just wanted people to know, if they want to try it, they don’t have to turn everything on. How should they think about it? Tanner: Great, great point. I gave a presentation at WordCamp Seattle last year, where I talked about this exactly. And that’s an excellent point. Very rarely do I recommend turning on everything with BuddyPress. You don’t need it all. It adds some great functionality, but it’s better to test things in chunks. Make sure this works, then make sure this works. Tanner: And so where I was going to go is, I was going to say the two components that I think are core to BuddyPress, are the notifications and the groups. If you’re not using those, there’s probably a better solution out there for you. Tanner: But I can tell you, like what we’re working on at study.church, we don’t have private messaging turned on. We have a bunch of components that just aren’t turned on because we’re not using them yet. We have plans for them eventually, but we want to make sure we get the things that are really important about our platform, we want to be laser-focused on making sure we do the core things right. And then we can build on extra features beyond that. Tanner: But it’s really important for us to make sure that the important parts of our platform have a good user experience, are fast, are consistent, and then we can expand once that’s done. Chris: If somebody’s looking at … they want more conversation on their website, which needs users to talk to each other or whatever, how do you, especially in a learning context, define the difference between comments, forums, and posts inside forums, and a social feed, that stuff’s just coming out? Chris: How are they different? Or how do you advise people what to use in what situation? Tanner: Interesting question. We have … there’s been a few different clients that we’ve worked with where we’ve tackled this question a few different ways. Tanner: One of them is something that is actually a very interesting piece of functionality, is forums. Forums become a very interesting way to not just host conversations, but also to have a canonical place for all of those conversations to exist. Chris: Small rabbit hole question. Are forums dying as a thing, or no? What’s your opinion on that? Tanner: I think forums as a standalone thing seem to be disappearing. But this thing that I’m about to say is going to change that. So what we’ve done, or at least looked into for a few different clients, and I believe that there are people doing this, I just can’t remember the examples off the top of my head. But it’s taking, basically, each post that you make on your site, or maybe each course or whatever, whatever you’re collecting comments on, and instead of just taking those comments and storing them as comments on that, and they’re just kind of stuck on that page, you create a new forum topic. And then, every time someone posts a comment to that, it goes into that forum topic. Tanner: And then, so, essentially, this forum lives throughout the site, and people can engage with it throughout the site, and it still compiles in one location. And people can engage with it either on the forum, or on the page. But I think that’s one way to repurpose this content and bring engagement back. We have so many, like you’re saying, we have so many different places where our users can engage. And the more fragmented that feels, the less likely they are to engage. And so the more we can pull that back into one central location, the better. Chris: It does. It does. And then maybe just speak to what’s best for the activity feed. Like for example with your study.church, what’s in the activity feed? Tanner: For activity feeds, specifically, and I guess just to go back to my previous answer, that’s an example of a way that we can change the way conversations take place. And it’s just thinking outside the box a little, but we don’t have to have all of these things. We can connect them together. Tanner: And that ties into this, is that the activity feed, there’s really good API built into BuddyPress to extend this activity feed. So if you want to say, such and such answered a question over in the learning management system, boom, it pops up there right in that group. Tanner: Such and such answered this question in LifterLMS, boom, it shows up in that group. And you can attach different actions and make those items show up in the activity feed. Tanner: On study church, that’s basically what we’re doing, is we have the normal such and such joined a group, such and such posted this message. And then we also have such and such answered this question. And the way we do that in study church is we will actually hide … well, we’ll only show it as a status update. Such and such answered the question. And then if there is conversation that starts happening on that answer, then we’ll show the answer and the conversation also. Chris: I totally understand what you meant, though. It’s collapsed. Tanner: We keep it all minimized, though. That’s right. Okay. We keep it all minimized, and it’s just a status update, unless there is conversation happening there. Because we don’t want to overwhelm people with activity. We want to show them what’s most relevant. Tanner: So I guess, in a philosophical answer, you want to show, in the activity feed, the items that are most relevant. And that doesn’t mean everything. That means what you want your user to see. And the more stuff that gets in that activity feed, just like with your general site content, the more stuff that’s there, the easier it is for people to get distracted. So you want to, as much as you can, stay laser-focused on what’s important. Chris: And I also agree that forums aren’t … they’re changing, but they’re not going to go away, especially if you have a problem, and you just google the Internet about something, you’ll often end up on some kind of forum post, and somebody who left some comment or thread, you watch this conversation that happened three years ago, you get tons of value, you solve your problem. It was easy for the search engines to find it. And that’s cool. Forums can continue. Chris: So, awesome. Well, can you briefly touch on elasticsearch for the community? What is that? Why is WordPress search limited? And what does Elastic add to the conversation? Tanner: Sure. By default, WordPress search will go through just basically the posts table. You can expand WordPress search to include different custom post types, but you’re familiar with the WordPress database at all, it’s basically limited to that posts table. Tanner: And so you can search the title, you can search the slug, you can search a few different things in there. But if you want to expand beyond that, you’re pretty limited. There are other tools out there, such as Search WP or Relevancy, which will expand that functionality. But, at the end of the day, once you get into a lot of content and high scale, you’re going to be tied down to, or you’re going to be limited by what MySQL can do across multiple tables. You’re just going to hit performance issues. Tanner: And so what makes elasticsearch a really valuable tool, is that it uses a completely different stack. So it optimizes the way, not just the way that it stores information, but the way that that information is collected. I believe they’re called nodes, if I’m remembering correctly. Tanner: And so for this university project, what we’ve been able to do is we’ve been able to take the default WordPress post search, and then reformat BuddyPress groups to fit within that, too, and then reformat member profiles to fit within that. Tanner: This is all part of the … if you look at the Elasticpress. Elasticpress is a great plugin put out by 10up that adds native support for a WordPress site for elasticsearch. Then there’s an add-on called Elasticpress-BuddyPress, that the humanities commons people put together, which is what we were using. And it just puts all of this content and formats it similar to the way that Elasticpress formats a post, and it just sticks it all onto the same server. Tanner: And because of the way that it stores this information, we’re able to query across all of that different kind of content really quickly, and it’s very performant, it’s very relevant in terms of what the search is. You have options as far as weighting it. And at the end of the day you’re just using a system that was built to handle search, whereas MySQL really wasn’t. Chris: Awesome. Great answer. Thank you for taking us to school on that. Tanner: This is my first Elasticpress project, so it’s been a learning process for me too. But it’s a really neat piece of technology. Chris: Yeah, and I think it’s important to acknowledge the limitations. There’s a lot of great free … WordPress is free, BuddyPress is free. There’s a lot of great free plugins out there, but sometimes, if you want to go further, you’ve got to integrate more tools and do more stuff. Chris: Tanner Moushey, he’s at iwitnessdesign.com. You can also find his project over at study.church. Chris: How else can the good people of the Internet connect with you, Tanner? Tanner: I’m on … Twitter’s probably the best way. I’m on Twitter @tannermoushey, that’s M-O-U-S-H-E-Y. Chris: Awesome. Well, thanks for coming on the show. It’s really fun to geek out about social learning, which is one of my favorite topics. And yeah, I look forward to connecting again, and wishing you all the best in your projects. Tanner: Absolutely. Thank you, Chris, it’s been a pleasure, and happy holidays. Chris: And that’s a wrap for this episode of LMScast. I’m your guide, Chris Badgett. I hope you enjoyed the show. This show was brought to you by LifterLMS, the number one tool for creating, selling and protecting engaging online courses. To help you get more revenue, freedom and impact in your life, head on over to lifterlms.com, and get the best gear for your course creator journey. Chris: Let’s build the most engaging, results-getting courses on the Internet. 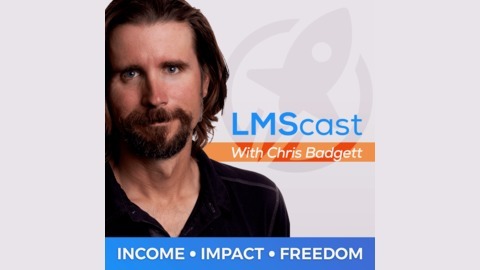 The post Creating Online Social Learning Membership Sites with Web Development Agency Owner, BuddyPress Expert, and StudyChurch Founder Tanner Moushey appeared first on LMScast.